Fall is just around the corner, and that means it’s time to put the flip flops away and move on to some more fashionable (and less beach-appropriate) fall footwear! 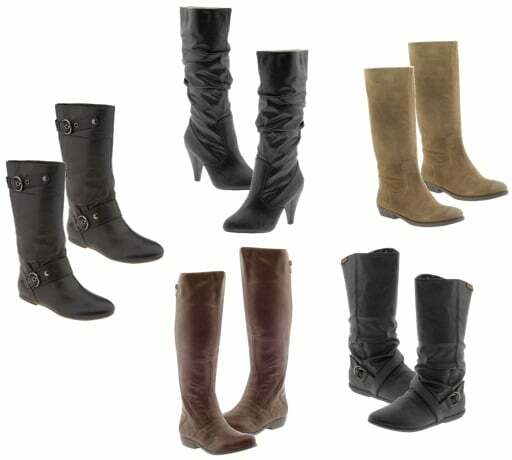 Last week we talked about footwear trends for fall 2009, but as we all know, trends aren’t for everyone! 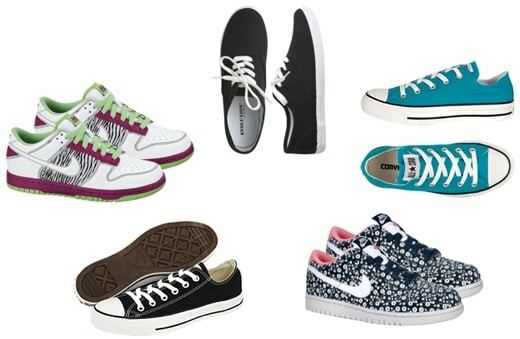 There are plenty of amazing casual shoes out there that don’t conform to any particular trend. 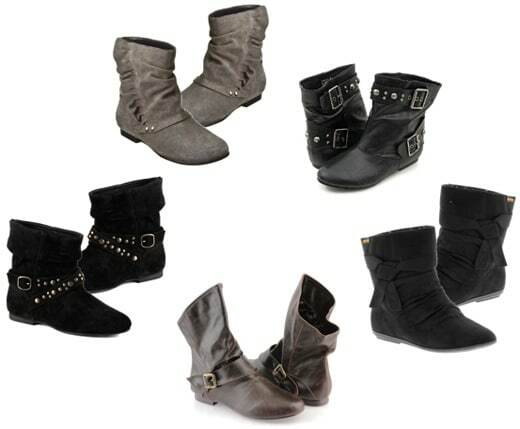 Even though they aren’t technically “trendy”, the following shoes are all in style and fabulous for fall. Here are 20 amazing fall shoes and boots you’ll want to wear everywhere: from your 9AM math class to your 10PM study date. These shoes deserve to be seen! Even better, at $100 or less a pair, they won’t kill your budget. The ballet flat is a total classic. Worn with skinny jeans, a pretty dress, or even shorts, it always comes off as effortlessly stylish, classy, and appropriate. You can thank Audrey Hepburn for that! There are SO many cute flats out there right now – it was incredibly hard to pick my top 5 pairs under $100! I finally decided upon a diverse mix of different styles to fit different tastes. Neon flats for an 80’s throwback, simple grey faux Ferragamo bow flats, printed flats in plaids and florals, and finally (my favorite pair), ultra-embellished Calvin Klein flats with a super cute metallic detail on the toes. I’m not a sneaker fan myself but I know lots of you walk EVERYWHERE and love your sneakers. I know I’m never going to stop you from wearing sneakers, so if you’re going to wear them, might as well get yourself a cute pair! Here are five stylish sneaker options: from classic Converse All-Stars to old-school Keds, you can’t go wrong with the basics. I also threw in a couple fun pairs of Nike Dunks because I think they’re fabulous when worn with skinny jeans and plenty of attitude. Which pair is your favorite? While over-the-knee boots are definitely the footwear trend of the season, boots that hit below the knee aren’t “out” by any means! I thought it would be extremely tough to find a cute pair of boots under $100, but I was surprised to find plenty of options, many even real leather! Most of my picks are from Piperlime – they have an incredible selection right now. From suede options that would be great with a dress and tights to rocker-fabulous buckled boots, there’s an affordable pair to fit any style. The ankle boot was HUGE last year, and it’s still lingering in stores. Cute with skinny jeans, tights, and even alone worn with a dress, ankle boots are fabulous, versatile, and the ultimate in comfy casual. Depending on your personal style, there’s an ankle boot out there that’s perfect for you. Studded, buckled options in black leather or suede give off a badass vibe, while simple slouchy brown leather is very boho chic. There’s always plain black as well if you just want to keep it simple and let the rest of your look shine. You’ve seen my picks for casual fall footwear. Now I want to know what you think! 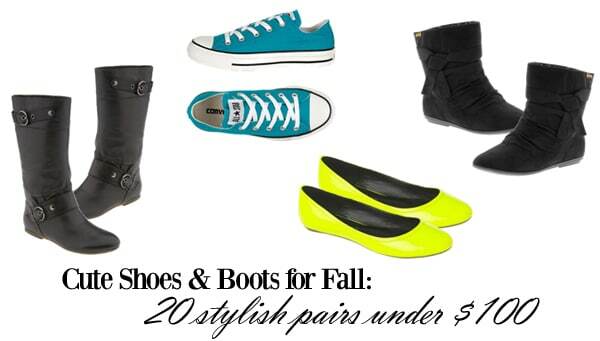 What’s your favorite pair of shoes to wear during the fall semester? Are you a ballet flat kind of girl or do you prefer to wear boots in the fall? What do you think about sneakers? Leave a comment below!